Choose from a range of custom-designed conservatories and orangeries designed to suit your lifestyle and extend your living space. Our impressive conservatories and orangeries will have a dramatic but complimentary effect on your home. Conservatories are simpler in terms of styling with a slim structure and a larger glazed roof and are available with elegant pilaster, frieze and gable detailing. 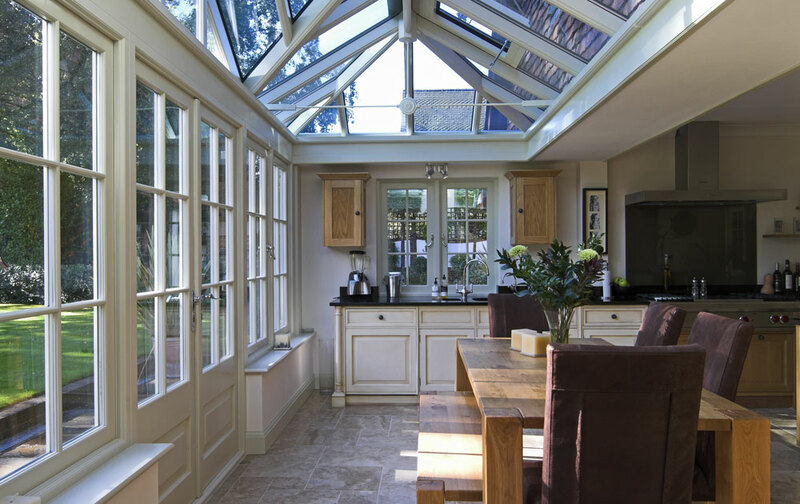 Orangeries are solid, more substantial extensions to properties and are distinguished by having glazed lanterns within flat roof structures as well as having more columns. If you require a more substantial structure than a fully glazed conservatory then an orangery is the right choice for you.